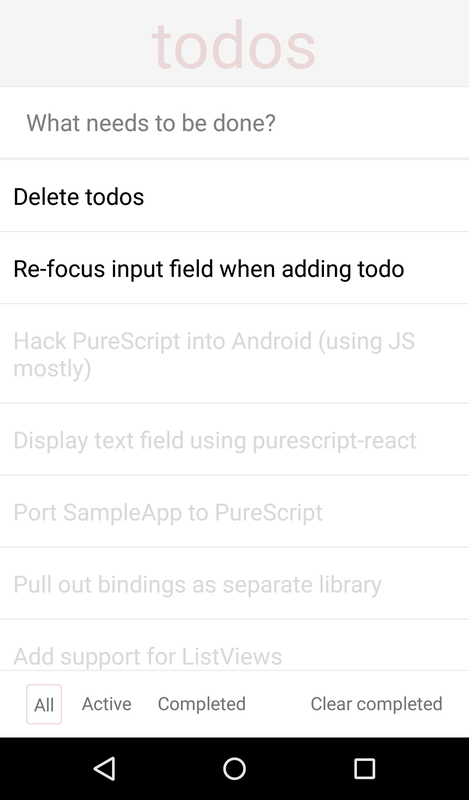 I’ve been playing around with PureScript on Android via React Native. Check out the example source code or the React Native wrapper code. This wrapper code builds on Phil Freeman’s purescript-react low-level wrapper for React, adding support for various elements used in Android. It is a work in progress. Functional afficionados will raise their eyebrows. Android gurus will throw their hands up in disgust. But it is PureScript. It is Android. And it is awesome.